* No shows on Sundays 1400hrs from July to September. Book ONLINE and SAVE 10%. Normal Price €10.00, Our Price €9.00. 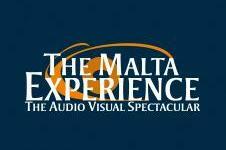 Booking your audio visual show tickets online is easy. Fill in the booking form, enter your travel dates and personal details. There are no credit card or booking fees and you will receive and instant confirmation. Book now to guarantee availability. Payment is charged 14 days before the tour/attraction date.